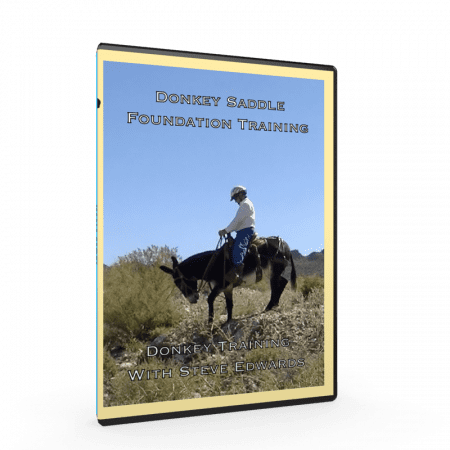 You want the mystery of shoeing your mule gone and in its place, confidence. 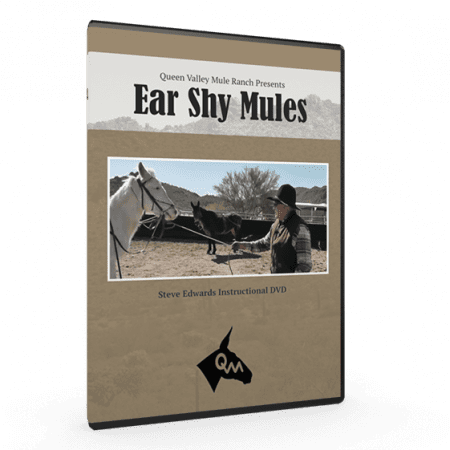 In this DVD you will Steve Edwards teaching apprentices the basics of trimming and shoeing, live from Steve’s ranch in Queen Valley, Arizona. 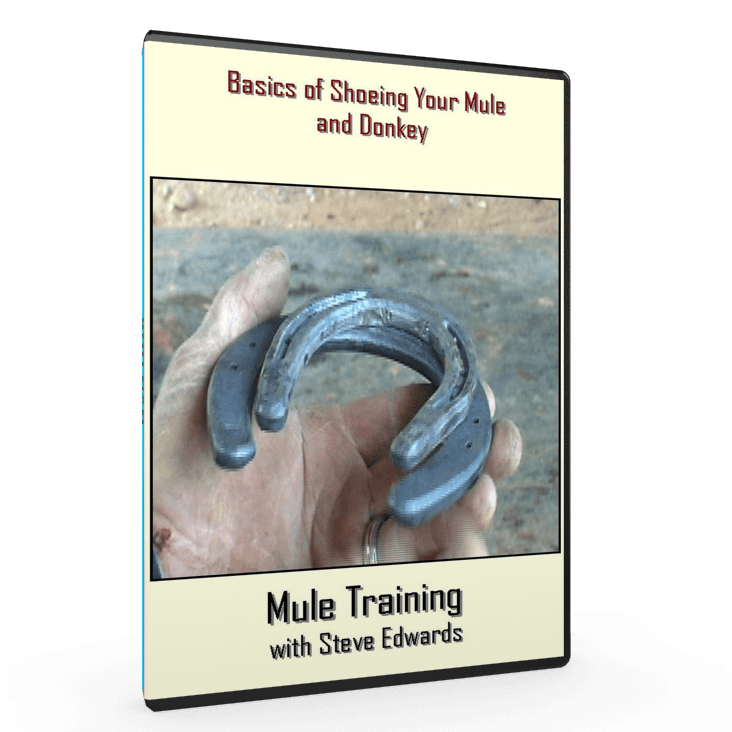 Learn all the basics of trimming, balancing the hoof, shaping the shoe, fitting the show to the hoof and teaching your mule or donkey to stand still. Got this video for my farrier to review for balancing the hoof . 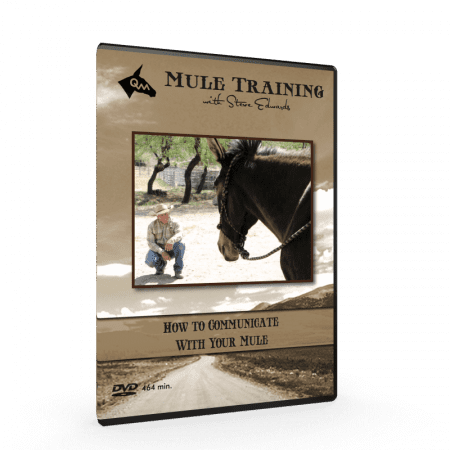 I asked him to pay special attention to the nuggets of information tucked into all Steve’s videos on mule behavior. 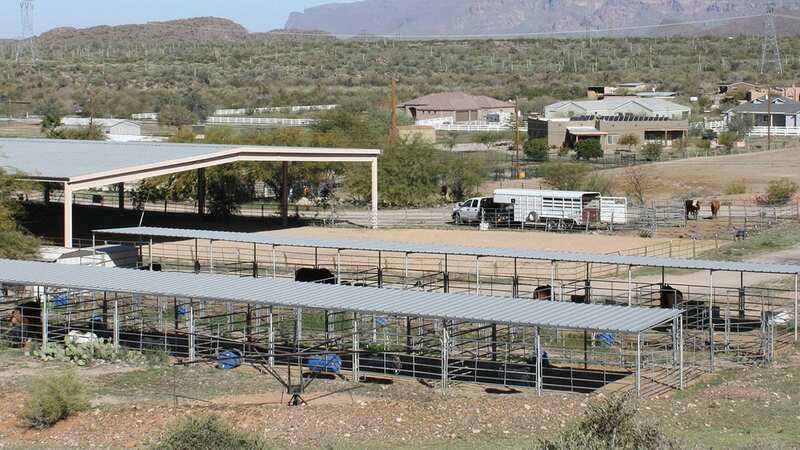 If its repeated more than once , pay attention its important. 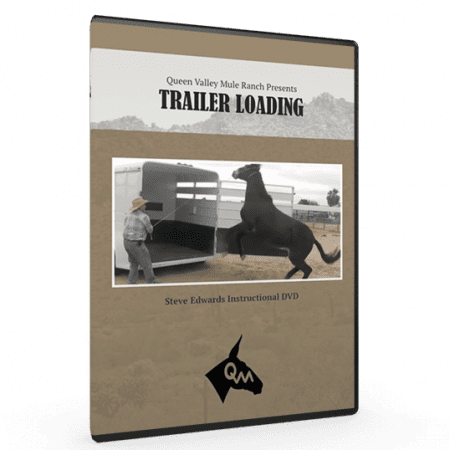 Not bad tape was fairly informative gives a good introduction to shoeing and trimming .Was hoping for a little more info on the trimming .